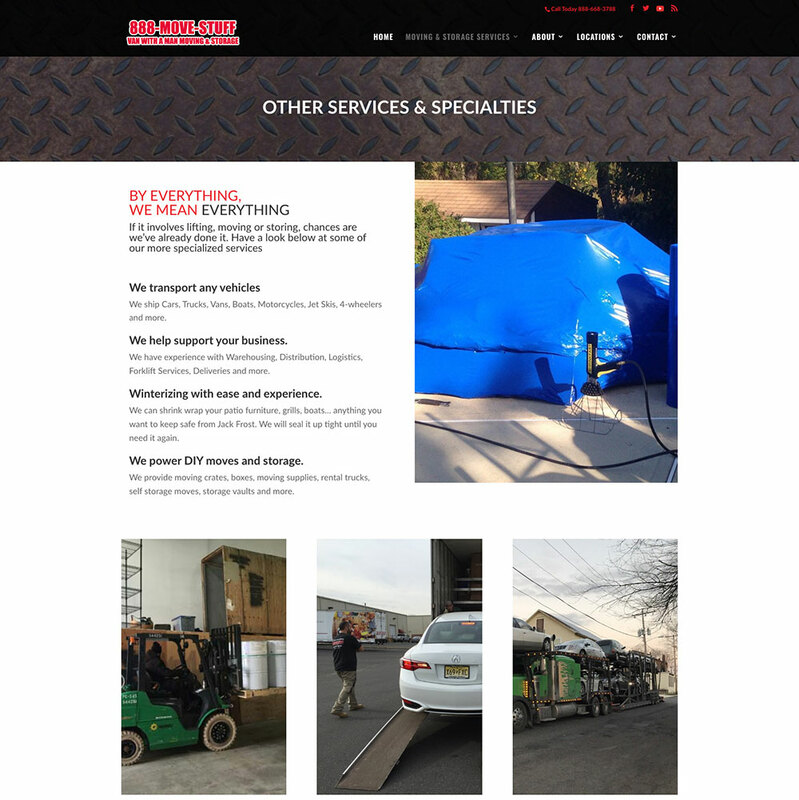 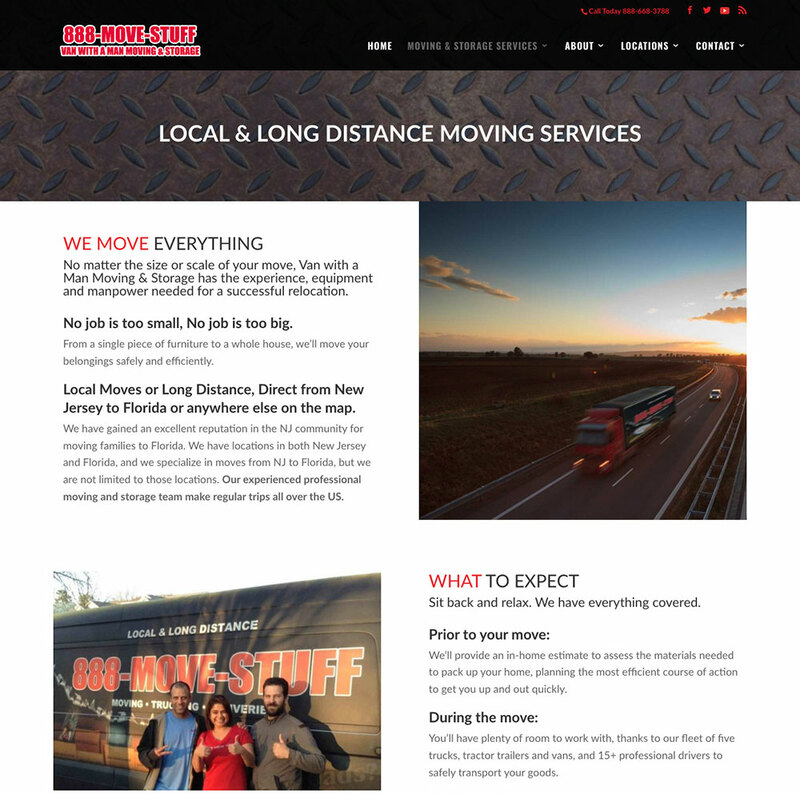 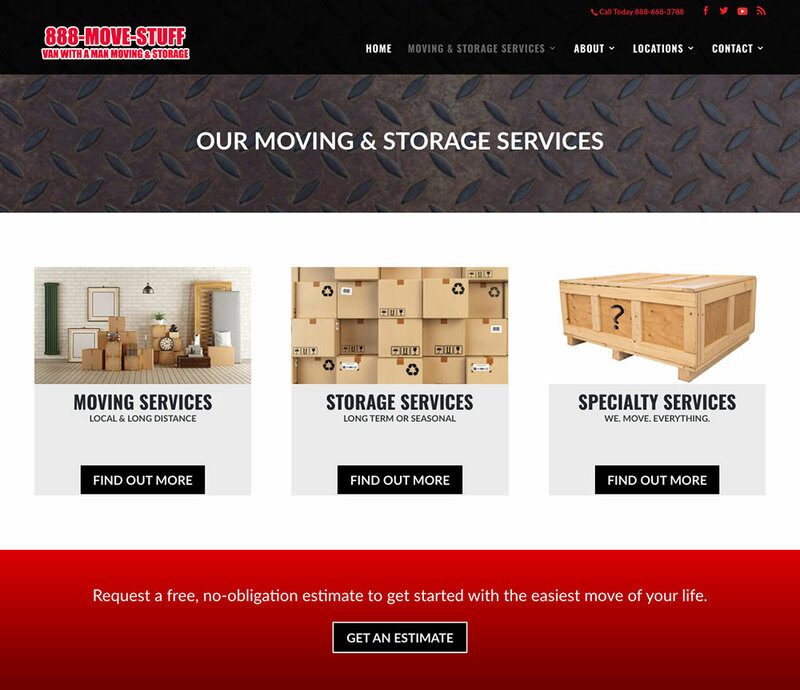 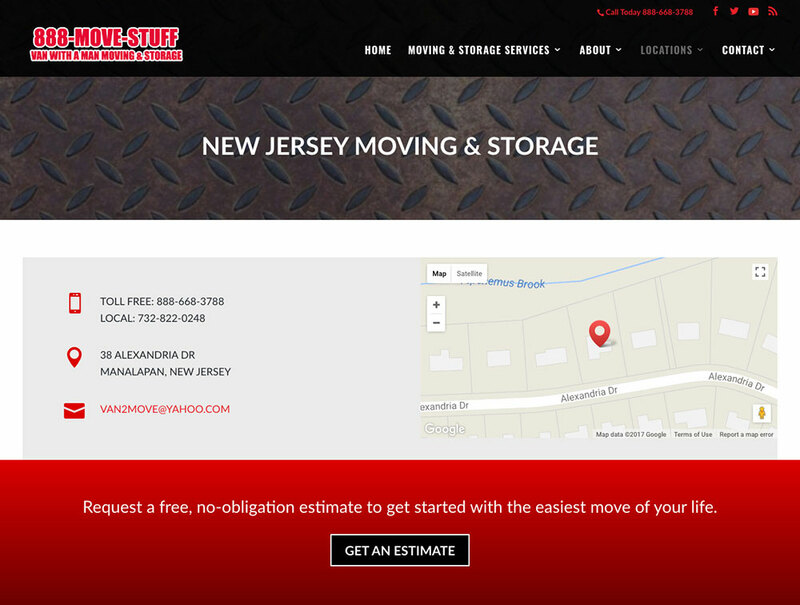 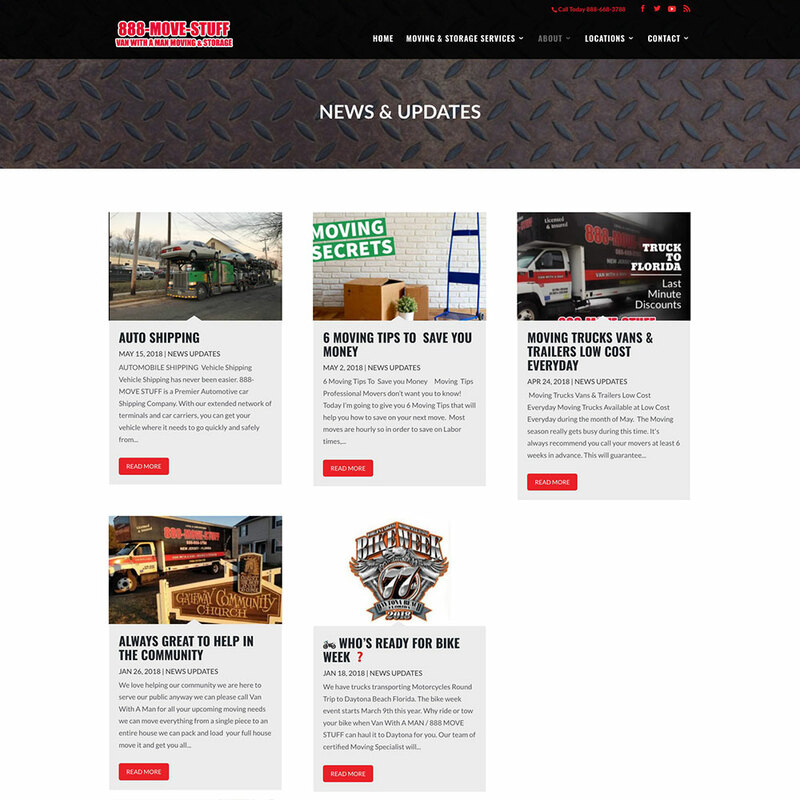 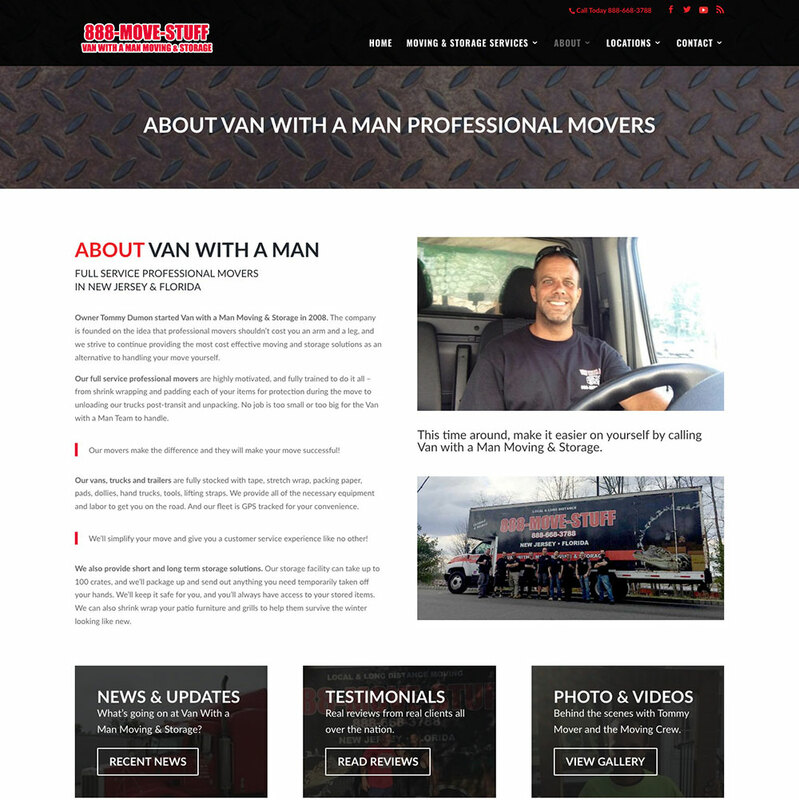 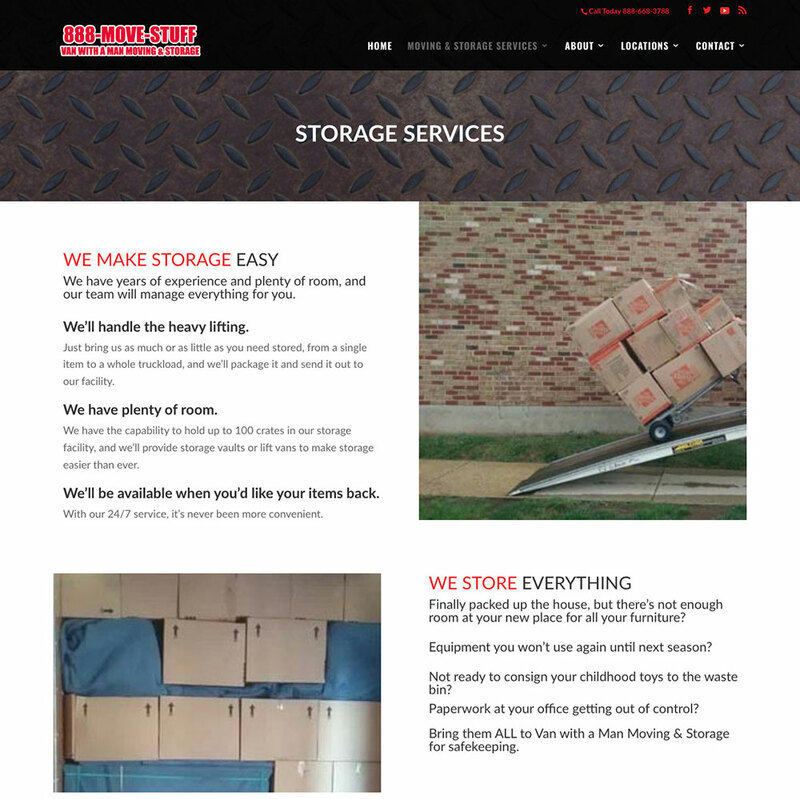 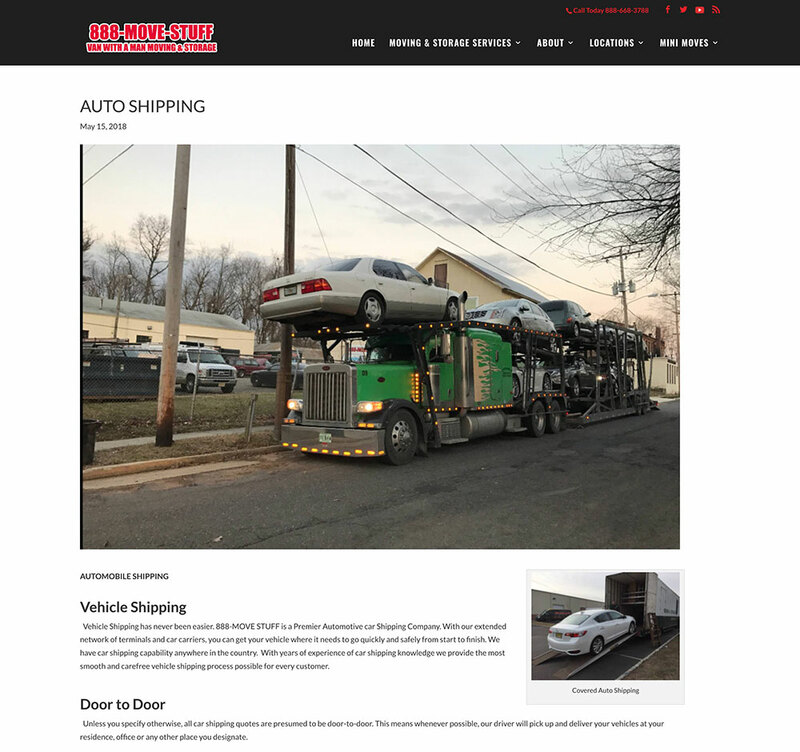 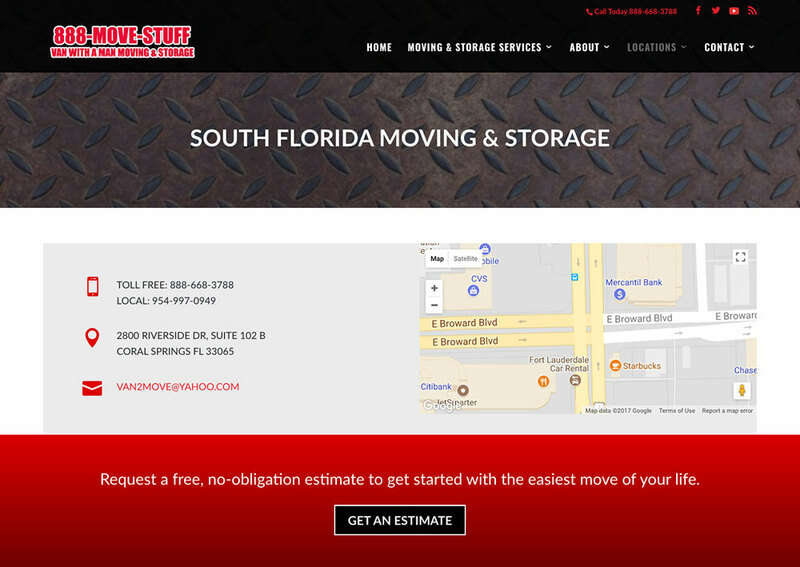 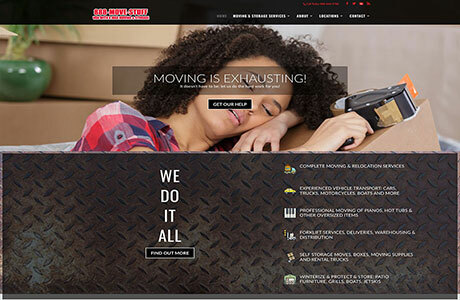 A moving company that works out of New Jersey and Florida approached us to develop and overall online presence for them including a website, social media accounts, automatic email newsletter, and Google Adwords campaign. 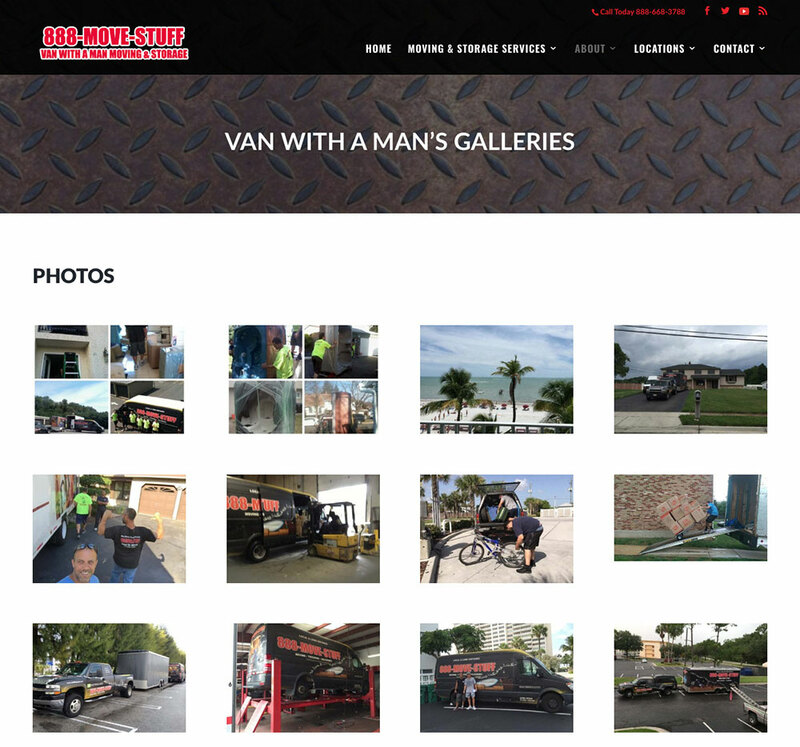 The website helps to highlight the different services they offer and instill confidence with photo galleries and testimonials that give the visitor an idea of the quality of their work. 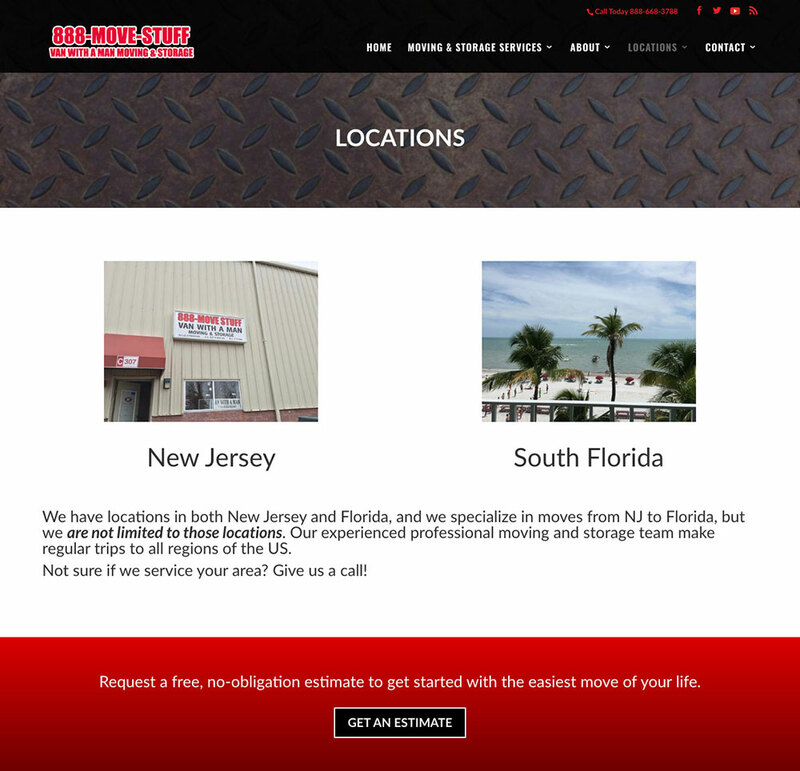 It was important that they be able to get the word out about open truck space as they travel between New Jersey and Florida. 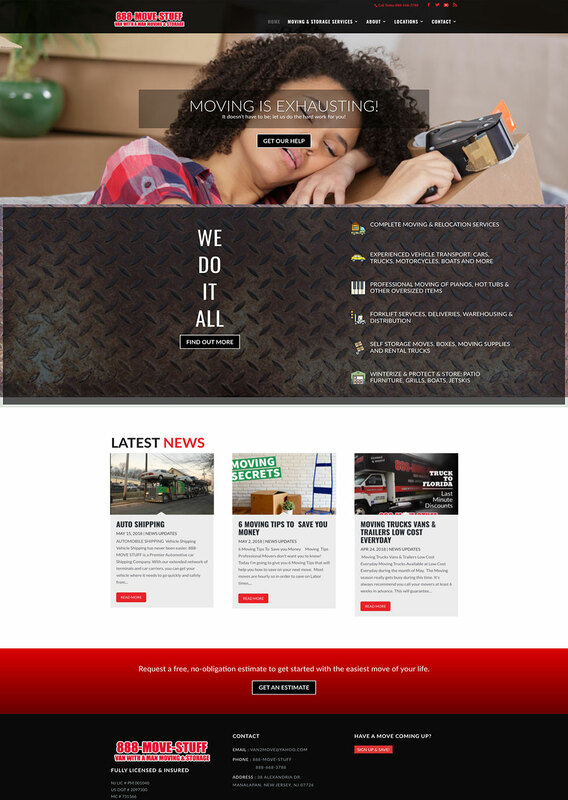 Our solution was a blog that they can post updates and promotions through that also automatically emails out to their list and automatically posts to facebook. 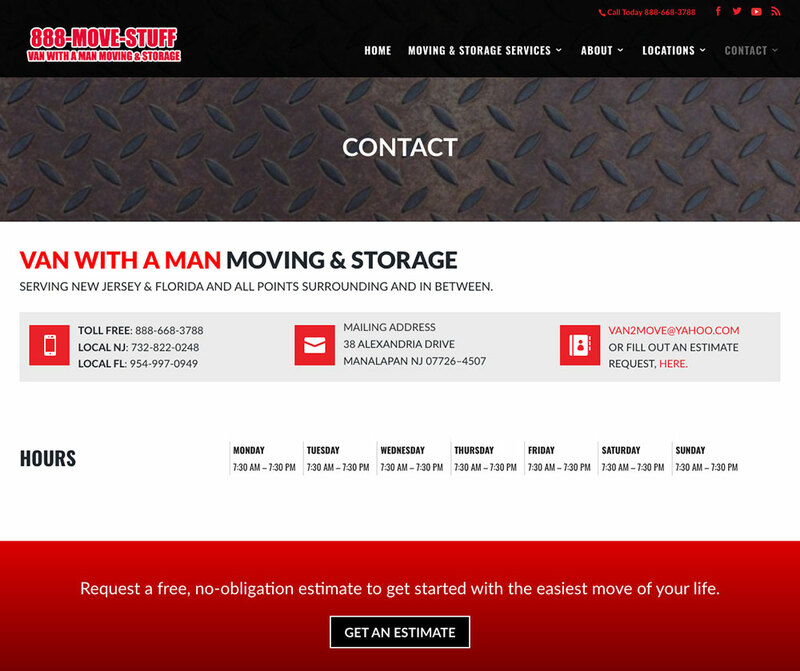 This allows him to post his announcement once on his site and disperse it through different media.